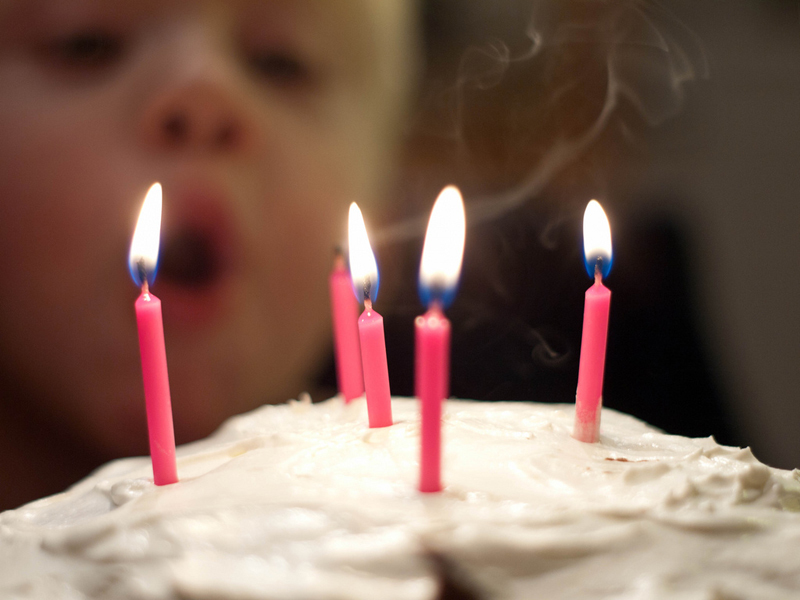 Chances are you have a <a href="http://www.inhabitots.com/10-easy-ways-to-green-your-childs-birthday-party/">birthday</a> on your summer calendar, which means you may be serving your child cake in the near future. The problem with most store-bought or box cake varieties is that they're packed full of artificial colors, flavors, preservatives and sugar. You can celebrate your favorite people and serve them cake too - just serve a fun, tasty alternative birthday cake that is actually good for them too. Here are my five favorite healthier alternatives to the birthday cake and believe me, your children will devour them. <h2>2. 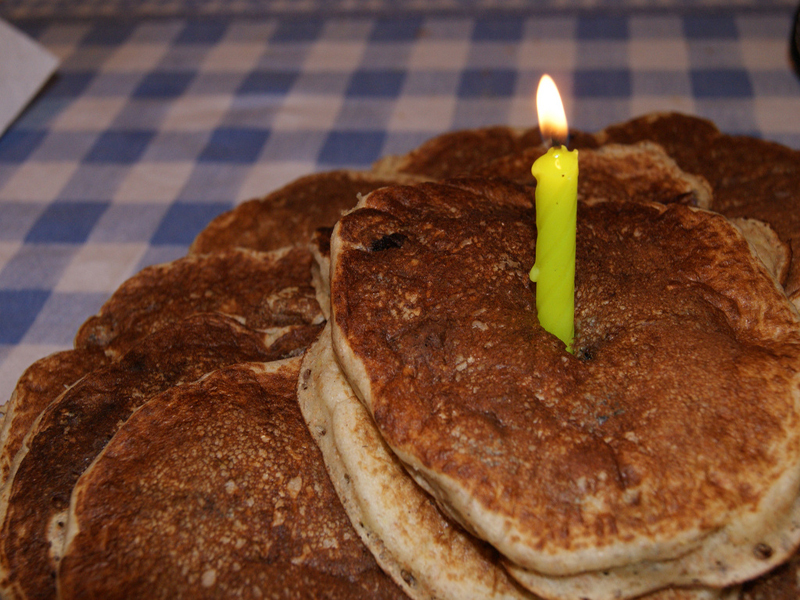 Pancake Cake</h2> Who doesn't love a fresh stack of pancakes? We all remember that unforgettable scene in "Uncle Buck", where Buck makes a gigantic pancake stack as a birthday breakfast. And when the pancakes are sugar free, stacked up high and topped with fresh fruit, they will not only be devoured by your children - but they most likely will think it is a fantastic birthday cake. <h2>1. 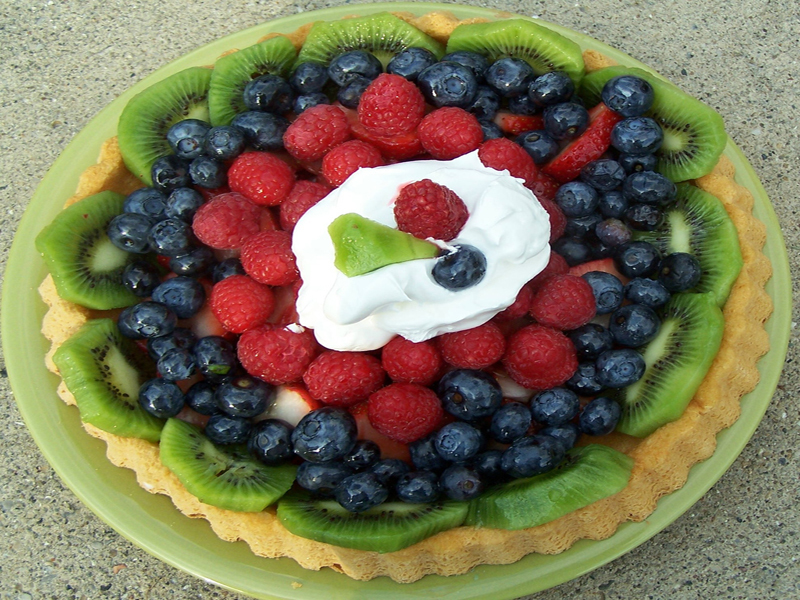 Fruit Torte</h2> Fruit Tortes are perfect for a summer birthday party! They are bright, colorful, refreshing, and fun. And when you an arrangement of fresh, organic fruits that are ripe and juicy, a fruit torte will taste as sweet and yummy as a sugar version. If, you want to add a little topping, I suggest your child's favorite sugar-free yogurt. <h2>3. Watermelon Masterpiece</h2> Watermelons are a fun fruit that can be carved into fun shapes the same way a pumpkin is at Halloween. Why not carve a watermelon into a shape to match the theme of your child's birthday party. 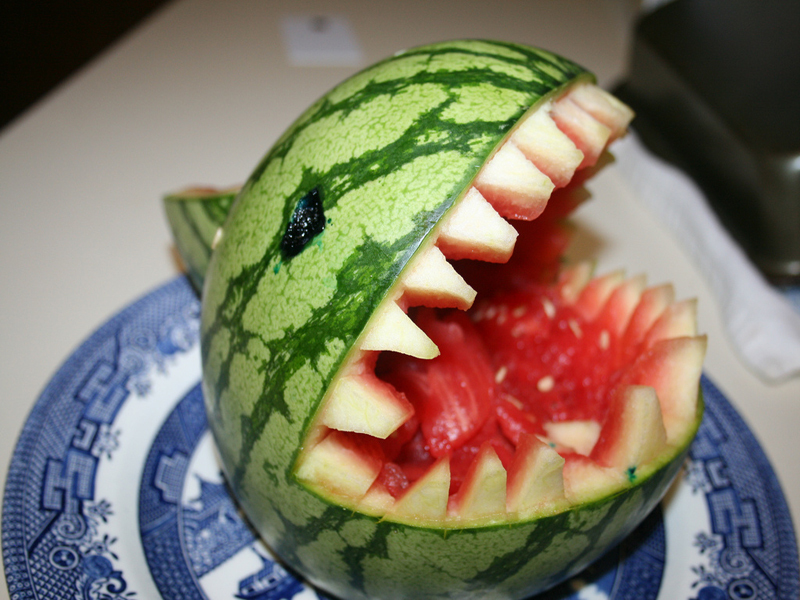 What child or adult could resist a watermelon shaped like a shark or an owl? <h2>4. Favorite Food Cake</h2> Have a child who prefers a certain type of food? You can transform almost any type of food into a cake shape with a little creativity. 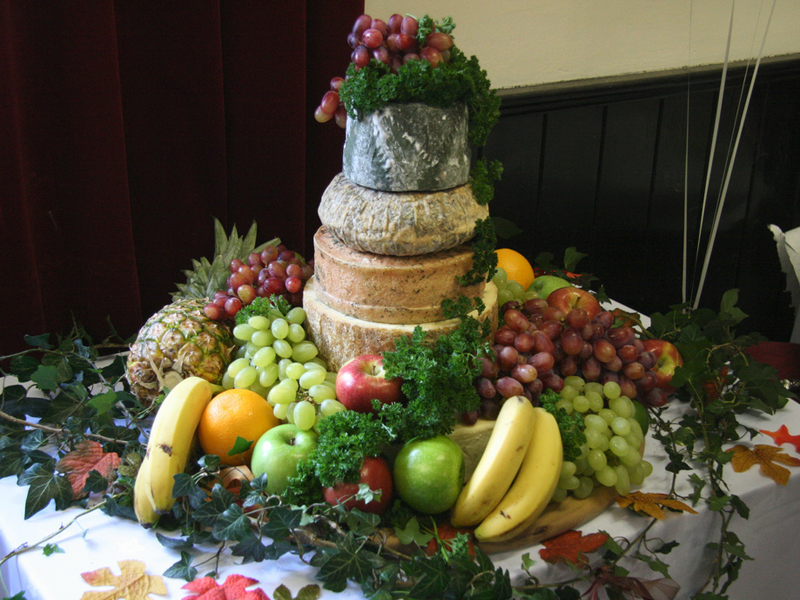 For example, if your child loves cheese, why not stack a couple of wheels of their favorite kind and serve with fresh bread and fruit. <h2>5. Veggie Cakes</h2> A very popular cake is made from carrots - but you can make a cake from any vegetable that your child loves using a little imagination. 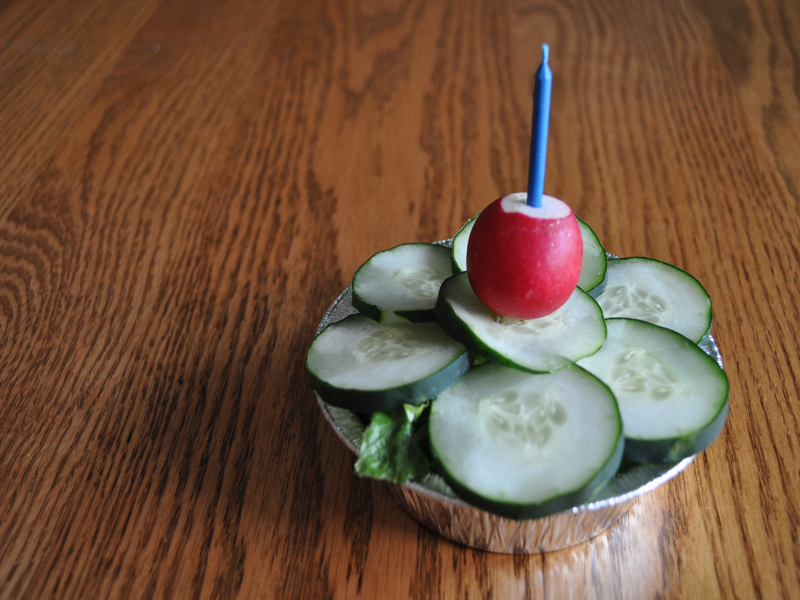 Whether you puree the vegetables and add them to the cake batter or make a cake completely out of vegetables, a vegetable cake is a fun, healthy alternative. Chances are you have a birthday on your summer calendar, which means you may be serving your child cake in the near future. The problem with most store-bought or box cake varieties is that they're packed full of artificial colors, flavors, preservatives and sugar. You can celebrate your favorite people and serve them cake too - just serve a fun, tasty alternative birthday cake that is actually good for them too. Here are my five favorite healthier alternatives to the birthday cake and believe me, your children will devour them.